Thread by @PaulSchmehl: "Gen. Flynn, through his lawyers has filed a Memorandum in Aid of Sentencing. assets.documentcloud.org/documents/5526… There are some remarka […]"
There are some remarkable things in this memo, things you may not be aware of. That’s the first that I’ve heard that his cooperation began BEFORE any threat of indictment. It will be interesting to find out what the cooperation entailed and what impact it had on any cases going forward. Pg 12 “As General Flynn has frankly acknowledged in his own words, he recognizes that his actions were wrong and he accepts full responsibility for them.” But watch what comes next. additional facts regarding the circumstances of the FBI interview of General Flynn on January 24, 2017, that are relevant to the Court’s consideration of a just punishment.” Additional circumstances indeed. Pg 13 “Mr. McCabe, by his own account, stated that he “felt that we needed to have two of our agents sit down” with General Flynn to talk about his communications with Russian representatives.” So McCabe initiated the interaction with the FBI. Evil was afoot. IOW, they set him up in a perjury trap based on faulty memory of a conversation that they had a verbatim transcript of. This is NOT how law enforcement is supposed to work. 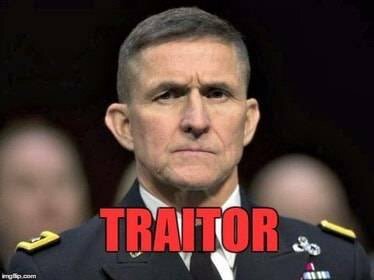 IOW, McCabe and Strozk may be scoundrels of the worst order, but Flynn is an honorable man. What follows is almost 140 pages of letters of support for Gen. Flynn. I don’t know what the judge will do, but I know what I would do. I would set aside his guilty plea and castigate the government for their ill treatment of Flynn. Looks like Judge Sullivan is none to happy with the government. THREAD: I want to talk about military vets. There is so much misunderstanding about them, and I’d like to clear it up. First of all, anyone who serves a full enlistment in the service is a vet. Even those with dishonorable discharges. So, just because someone claims vet status does not mean they deserve your respect. It is not enough to serve. Some examples: John Kerry, Richard Blumenthal, Nathan Phillips, Tom Harkin. Notice they all have something in common. They used their veteran status selfishly. They sought to elevate themselves in the public eye by claiming veteran status but misrepresented their service. As a veteran of the Vietnam-era (not a Vietnam vet), I see great irony in claiming Vietnam vet status when you never served in Vietnam. The left has made it clear. They intend to destroy the right through whatever means they can. It's time to drop the pretense. The right must seek to destroy the left, utterly and completely. The two cannot coexist. The left has made this crystal clear. I pray that Robert Barnes will strike a mighty blow by extracting large sums of money from the lying media and movies stars who sought and still seek to destroy the #CovingtonBoys . His lawsuits should rock the foundations of the evil players. But, much more must be done. People on the right must stop passively accepting the left’s lies. We must confront them at every turn and destroy their efforts to twist reality. We must refuse their attempts to label us and proudly proclaim our beliefs. Threads like this are probably why @drawandstrike blocked me. Because he once again states falsehoods. And I point them out. I don’t care if you want to think you’re the big cheese when it comes to alternative media, but I refuse to keep my mouth shut when I read falsehoods - especially ones that are as easily disproven as this one is. 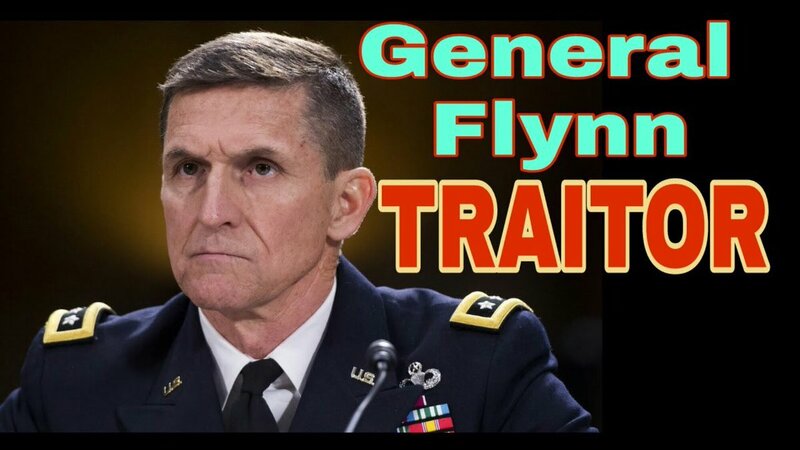 📌Flynn's conduct might have amounted to "treason" working as a foreign agent while in the WH to advance the interests of a foreign nation. "I'm not hiding my disgust, my disdain, for this criminal offense,"
Flynn worked to advance the interests of the Turkish gov’t during Trump’s campaign. 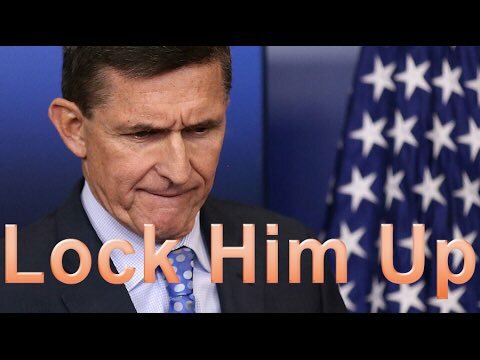 Could Flynn have been charged with violating the Hatch act for interfering in RU sanctions imposed by Obama adm.
📌This was "a high-ranking senior official of the adm making false statements to federal agents while on the premises of the WH" the judge said. 📌Judge made Flynn to admit publicly that he knew lying to the bureau was illegal and that he was guilty of a crime. 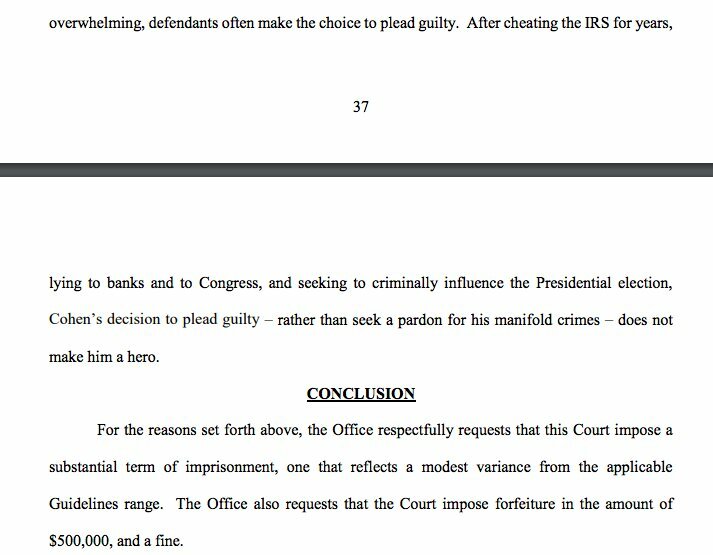 "After cheating the IRS for years, lying to banks and to Congress, and seeking to criminally influence the Presidential election, Cohen’s decision to plead guilty – rather than seek a pardon for his manifold crimes – does not make him a hero." 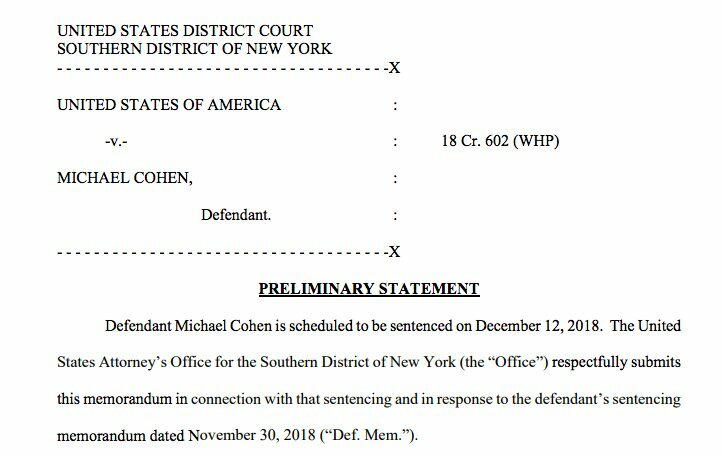 Michael Cohen committed campaign finance crimes "in coordination with and at the direction of" President Trump. 2) On Nov 4th, Robert Mueller sent his sentencing memo to a judge regarding General Flynn's case. Mueller recommended no jail time. The unredacted document was made public. Predictably, the MSM hoped it spelled doom for POTUS. So - stay tuned for a big Kavanaugh document dump. (Thread) MAGA people are still asking: What crimes did Trump commit? The problem is that part of the population the victim of highly effective right wing propaganda. This thread is to help with argument settling. 1/ The Consumer Financial Protection Bureau was created by the Dodd-Frank Act of 2010, which was passed after the financial crisis as a way of reining in problems in our financial system. 2/ The CFPB is the *only* federal agency focused on protecting consumers of financial services. Before it was created, various federal agencies (and state Attorneys General) filled that void.